"How many angels could dance on the point of a pin?" ... is after all, a very helpful question? Perhaps you are not familiar with this question. Maybe you are someone who asks it quite often. One would usually not come across such a question unless you were in a conversation with someone who is attempting to simply mock the idea and/or minor points of theological reflection. It is a question someone would ask if they were making fun of or pouring contempt on theology and the speculations of theologians. It is a similar question to, "Could God create a rock so big that he could not lift it?" This is what many people think of when they think of theology. Old guys locked away asking questions, absorbed in meaningless debates over the most trivial, pointless questions, such as, "how many angels could fit onto the point of a pin?" I mean, isn't believing in God enough? Isn't belief in Jesus enough? Do we really need to know and study the Bible? Doesn't the Bible even say that faith is enough? These kind of questions run rampant in churches these days. And I believe it is mostly due to our lack of study, or care for the intricacies of theological thought. We don't want to turn into those people, who waste away studying things that don't matter while the world around them struggles through problems that theology is meant to provide solutions for... So we just run from it. Humans tend to do this kind of thing with everything. Sometimes it can be healthy to do... Most of the time though, it isn't. This week was crazy, what with 8 Christmas Eve services at the church I work at and travelling across the country to visit family and friends; I was unable to write a post for this week. But, do not be in dismay, for we serve a God much bigger than my schedule, and He provided at just the right time. In lieu of a Formation Friday post I would like to share this article with you that was posted today from RELEVANT Magazine on one of the greatest preachers to ever live: George Whitefield. Sometimes I wonder if we really understand what we sing. I'm not talking about all times I've heard people sing along mindlessly to country songs about girls dancing in the back of some beat-up truck while drinking beer. Maybe there's a time to ask why we sing dumb songs, but not today. I'm talking about when we sing mindlessly to glorious songs. Don't just skip over that word. Glorious. When words come out of our mouths, voicing truth that is pregnant with....glory, do we really understand what we are saying? We do this all year long, but nowhere is it more evident than during the Christmas season. I mean, think about it. How many of the Christmas carols have we sung our entire lives and never stopped to think about what we are really saying? "Long lay the world in sin and error pining, till He appeared and the soul felt its worth." "Glory to the newborn King. Peace on earth and mercy mild, God and sinners RECONCILED." 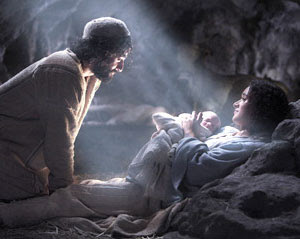 "Son of God, love's pure light....the dawn of redeeming grace." Think about that last one...the dawn of redeeming grace. We celebrate the dawning redeeming grace. What does that mean? It means we were enemies of God, bound by sin, hopelessly lost. BUT, Jesus came. Jesus redeemed us by His grace. The speaker in this video is name Eric. He wrote this for College Heights Christian Church, a church that I used to attend and volunteer with while I was studying at Ozark Christian College and living in Joplin. There are four of these 2-3 minutes videos that they produced this year and I thought I would share one on each day leading up to Christmas Eve. I hope you enjoy them... and all the more, I hope they touch you, wherever you may be this Christmas, this Advent, season. This is a Catholic prayer written by St. Pio of Pietrelcina that I thought too beautiful not to share today. I hope it finds you well as we prepare for tomorrow, the Sunday before Christmas. Oh Lord, we ask for a boundless confidence and trust in Your divine mercy, and the courage to accept the crosses and sufferings which bring immense goodness to our souls and that of Your Church. Yesterday was the 149th anniversary of slavery finally being made illegal in the United States, thanks, in a huge way, for how God used one man in England about 60 years beforehand... a man named William Wilberforce. If you have seen the 2007 movie, Amazing Grace or read the biography by Eric Metaxas by the same title then you need no introduction to the greatness of this man. 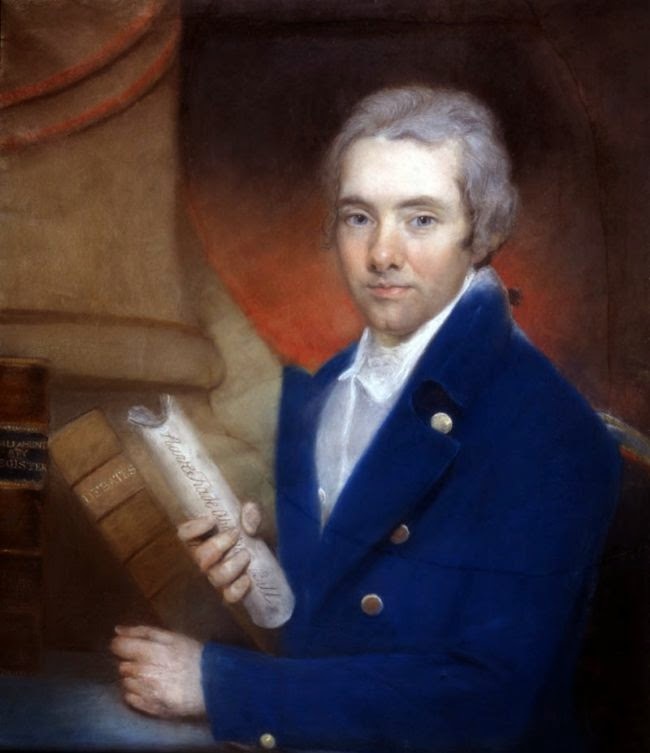 William Wilberforce is most notably remembered and revered for leading the fight for abolition in all of Great Britain's Empire. What motivated him through this long, stressful, and very painful ordeal though was not a desire to get his name in a history book, nor was it just about helping people find freedom. William Wilberforce felt a genuine call to do this because of his faith in Jesus Christ and his belief that ALL men and women and children were created in God's image and therefore deserved the dignity of being a human being. In today's society, even those who do not believe in God or an endowment from a Creator, they at least share the ideal that all deserve human dignity. But this was not the case for a majority of the world's history, most notably in the British Pre-Victorian Era. The world was only "Christian" in the most superficial of ways. Morality was dictated by government, not by the Bible. This sense and disinterest in religion or Christian teaching was mostly due to the bad taste the religious wars of the previous century left in the mouths of the elite. To take the Bible in any way serious was to be deemed a fanatic, barely acceptable for the poor and common folk, and socially prohibited by the cultural elite. Whatever you call it, there is no mistaking this time of year. Far from just a noticeable change in weather (though that’s a bit subjective in Florida), there is something going on around town and everyone seems to be getting involved. Music is playing (mostly a rehashing of the same 20 songs from the 1950’s), people are bustling about stores looking for particular gifts for friends and family, and all around churches and homes are setting up nativity scenes. Commercials focus on family, on men proposing to women with diamond rings, on Santa checking his list twice. TV stations run various “25 Days of Christmas” movie marathons. Unless you live in a cave with no access to the outside world, there is no way to miss that this time of year universally holds a particular meaning. 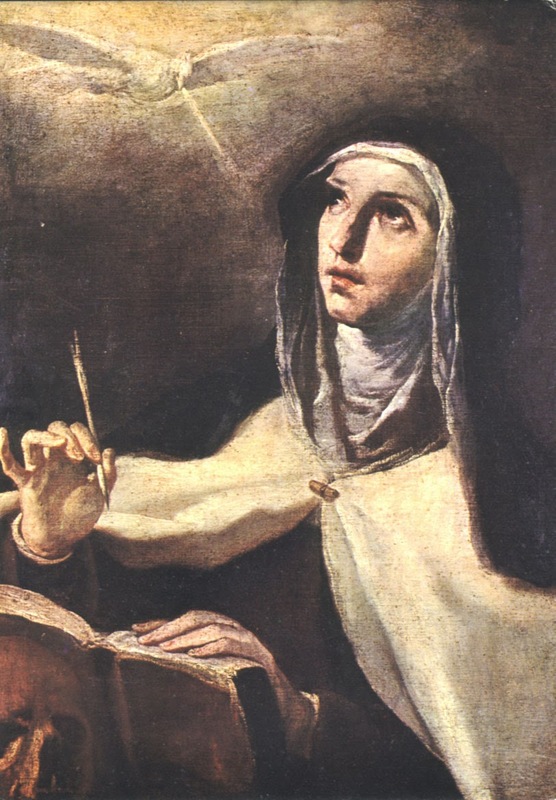 Jesus was Born in Bethlehem, NOT Rome: Choosing to Lose the "War for Christmas"
Teresa of Ávila also called Saint Teresa of Jesus, baptized as Teresa Sánchez de Cepeda y Ahumada (28 March 1515 – 4 October 1582), was a prominent Spanish mystic, Roman Catholic saint, Carmelite nun, an author for the Counter-Reformation and a theologian of contemplative life through mental prayer. She was a reformer of the Carmelite Order and is considered to be a founder of the Discalced Carmelites along with St. John of the Cross. Teresa was also the first of only three women to obtain the title "Doctor of the Church", the most prestigious canonization of any saint. Last night I was talking with my friends, Evan and Breanna, and I told them who I would be writing on for today. Evan responded by saying that Teresa is like oatmeal. The first time you try it, you may like the taste but the texture sometimes has to grow on you. Especially if it is very soggy oatmeal. I liked that analogy when it comes to Teresa. Evan isn't convinced whether he likes her or not, but nonetheless we all acknowledge she is an important figure in Christian history. She was at the forefront of the Catholic Counter-Reformation and brought a mystical love for Christ back to a very rigid and overly-structured time for the Catholic Church... much like Pope Francis is seeming to do right now with the Roman Catholic Church. Not everyone likes this Pope, but no one can say he isn't doing good things. He has to grow on you. You have to get used to him. Much is the same with St. Teresa. Her words were shocking to the church in her time, and they remain today, just as shocking. Have you ever wondered about this song, like, why Israel is captive, or why they are mourning in exile? And why are they mourning in exile… here. Here. Where you are. Where I am. Why are we singing about Israel at a time like this? It’s Christmas! Where are the cookies? There are multiple things going on in this song that point us to a greater element of this time of the year. The Church Calendar celebrates this time (the four weeks leading up to Christmas) as the Church’s New Year. This season is called Advent. This is an older worship chorus that is still sung in churches today, though it is becoming more and more seldom. This is to be expected though as newer worship styles become more popular and new songs become new favorites. "As the Deer" was written by Marty Nystrom in 1981 and quickly grew to become a beloved chorus/ hymn sung by congregations everywhere. The song is rich, due to it being based primarily on scripture (Psalm 42 and Psalm 63) and theological truths. The title is from the first line of the song, taken straight from Psalm 42:1. Take a listen, even if this isn't your particular style of music, it's a good reminder of who God is and what our appropriate response of worship should be. is a pastor living in Phoenix, AZ. As a student at Ozark Christian College in Joplin, Missouri he majored in Biblical Leadership, New Testament Studies, and Missiology. 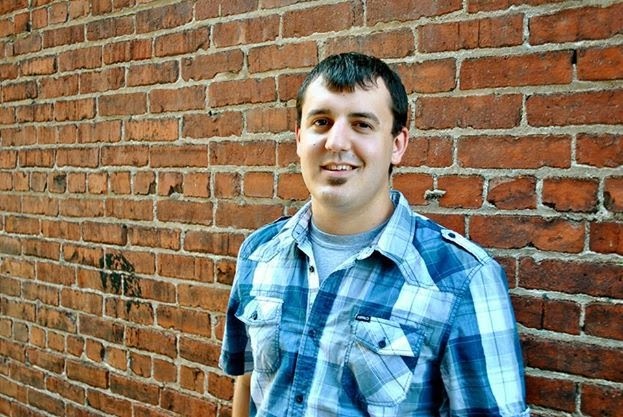 Nathan has a combined passion for unity and discipleship in the global church. For today’s Formation Friday, I highlight John Bunyan. I have read only one of his works, his most famous, The Pilgrim’s Progress, though I hope to read his other works soon. My information and wording of this post is heavily relied upon by the research and writing of Tim Challies, a brother and warrior for the faith. 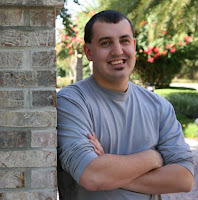 He blogs regularly at challies.com I encourage you to check out his book reviews and articles. 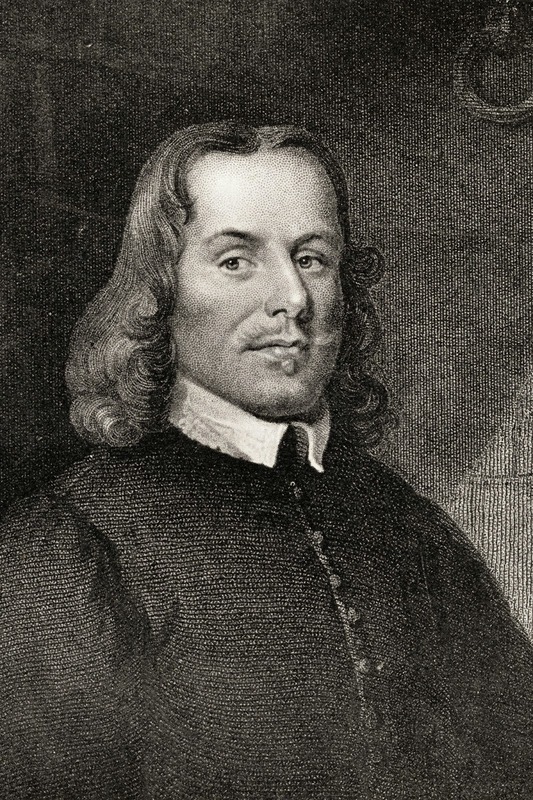 John Bunyan, author of The Pilgrim’s Progress and undoubtedly the most famous Puritans save for maybe Johnathan Edwards, was born on November 28, 1628 in Bedfordshire, England. His father, Thomas earned his living as a chapman and as a brass worker. As was custom in their day, John was expected to take over the family business. In 1644, Bunyan turned 16, but it was not a sweet 16. It was a very sad and eventful year for the Bunyan family: in June, Bunyan lost his mother and, in July, his sister Margaret died. Following this, within two months, his father married (for the third time) to Anne Pinney and a half-brother, Charles, was born. John Bunyan soon left to join the Parliamentary Army. With the recent events unfolding in Ferguson, MO and many other cities around the United States, I thought the story of Telemachus would be better suited for today's Formation Friday post. The point of these posts, again, are to help us move forward in our own personal spiritual formation by looking back at some of the ancient and present heroes of our faith and learning how they interacted with the problems life tossed their way. I hope first and foremost that we begin to see how Scripture impacted them and how they truly lived out the words that they claimed to believe. With the rioting going on in the U.S. and the cries for justice and the cries for peace, for those who are happy about the decision and those who are angry I hope that we can see through the story of Telemachus that one person can change a system. One person, brave enough to stand up and peacefully proclaim the Gospel can impact the entire world. 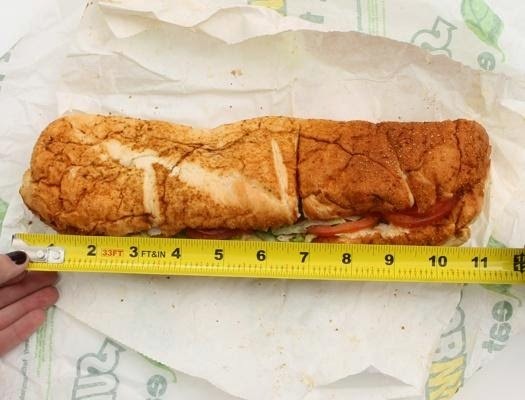 Prepare yourself: I found out in an article the other day that Subway’s foot-long subs are not really a foot long. They are 11 inches. When I found out, it was kind of like that moment you started to realize that maybe, just maybe, Santa isn’t real. Maybe it is sort of illogical for one man to stop at every single house in the world to drop off presents in one night. Maybe Santa’s handwriting did look suspiciously like mom and dad's, now that you think about it. Maybe a foot-long sub was too good to be true. Now, I get that the baking process likely has a considerable effect on the size, probably making it shrink an inch or so in the oven. But, at first, I felt lied to. Subway wasn’t telling us the whole truth! “I studied as hard as I could.” Come on now…that’s usually another half-truth. “I eat and breathe Starbucks.” That’s a half-truth, too…otherwise, things would get really weird, really fast. I’ve recently been awakened to this dangerous half-truth that has infiltrated contemporary Christian circles. “I’m praying for you” has become a kind and courteous thing to say, and it is; but do we actually mean it? All that God is, God is, in times like this. In times of confusion and pain, God says, "I know that feeling, my Son was unjustly murdered too." All that God is, God is, in times of anger. And for that he offers us the idea to love our enemies and to pray for the welfare and well-being of those who oppress. All that God is, God is, in times of unrest. And for that he offers peace for those who seek it. All that God is, God is, in times of injustice. And for that he offers himself... Our God is a God of justice for the oppressed, the poor, the weak, the silenced. All that God is, God is, in times of instability. And for that he calmly reminds us of His omnipresence, His omnipotence, the simple fact that He is in complete control. Pray for the Ferguson community, the Brown family, the Wilson family, and police and state officials who are trying to calm the chaotic riots down tonight. ...And sometimes it doesn't get enough scrutiny. The power of music is incomprehensible. Every so often on Mondays we will be posting some of our favorite worship songs and giving a short explanation on what they offer the Christian community. I'm a huge proponent of the belief that the best theology is not complete until it can be sung. (Maybe I will touch on this in a future post.) Music is the common equalizer among people of all tribes and nations. It has been the one thing throughout history that humanity has attempted to perfect and use to tell stories, hold ceremonies, worship, and mourn. Music can bring two people together. Music can unite nations. Music can heal wounds. Music can lighten or darken a room. Music can change a landscape. Music can change a persons mood. Music can begin or end a journey. Music brings a greater visual than some of the greatest pictures ever could. Music is a miracle. Music is language that permeates cultural, political, and communication barriers, destroying them in a way diplomacy and translation will never do. In many ways, music is theology. 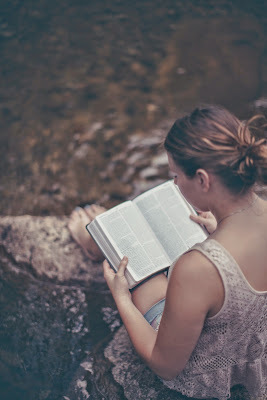 Simple Sunday: "How We Tend to Cluster"
On Friday I posted a profile Pastor of and Writer Max Lucado with some of my favorite quotes. A good friend of mine told me of one of his favorite little talks from Lucado and showed me this. I was blown away, so I wanted to share this as a follow up to the Formation Friday post. "God has enlisted us in his navy and placed us on his ship. The boat has one purpose—to carry us safely to the other shore. This is no cruise ship; it’s a battleship. We aren’t called to a life of leisure; we are called to a life of service. Each of us has a different task. Some, concerned with those who are drowning, are snatching people from the water. Others are occupied with the enemy, so they man the cannons of prayer and worship. Still others devote themselves to the crew, feeding and training the crew members. Though different, we are the same. Each can tell of a personal encounter with the captain, for each has received a personal call. He found us among the shanties of the seaport and invited us to follow him. Our faith was born at the sight of his fondness, and so we went. We each followed him across the gangplank of his grace onto the same boat. There is one captain and one destination. Though the battle is fierce, the boat is safe, for our captain is God. The ship will not sink. For that, there is no concern. There is concern, however, regarding the disharmony of the crew. When we first boarded we assumed the crew was made up of others like us. But as we’ve wandered these decks, we’ve encountered curious converts with curious appearances. Some wear uniforms whenever seen, sporting styles we’ve never witnessed. “Why do you look the way you do?” we ask them. The variety of dress is not nearly as disturbing as the plethora of opinions. There is a group, for example, who clusters every morning for serious study. They promote rigid discipline and somber expressions. “Serving the captain is serious business,” they explain. It’s no coincidence that they tend to congregate around the stern. There is another regiment deeply devoted to prayer. Not only do they believe in prayer, they believe in prayer by kneeling. For that reason you always know where to locate them; they are at the bow of the ship. And then there are a few who staunchly believe real wine should be used in the Lord’s Supper. You’ll find them on the port side. And, oh, how we tend to cluster. Some think once you’re on the boat, you can’t get off. Others say you’d be foolish to go overboard, but the choice is yours. Some believe you volunteer for service; others believe you were destined for the service before the ship was even built. Some predict a storm of great tribulation will strike before we dock; others say it won’t hit until we are safely ashore. There are those who speak to the captain in a personal language. There are those who think such languages are extinct. There are those who think the officers should wear robes, there are those who think there should be no officers at all, and there are those who think we are all officers and should all wear robes. And then there is the issue of the weekly meeting at which the captain is thanked and his words are read. All agree on its importance, but few agree on its nature. Some want it loud, others quiet. Some want ritual, others spontaneity. Some want to celebrate so they can meditate; others meditate so they can celebrate. Some want a meeting for those who’ve gone overboard. Others want to reach those overboard but without going overboard and neglecting those on board. The consequence is a rocky boat. There is trouble on deck. Fights have broken out. Sailors have refused to speak to each other. There have even been times when one group refused to acknowledge the presence of others on the ship. Most tragically, some adrift at sea have chosen not to board the boat because of the quarreling of the sailors. “What do we do?” we’d like to ask the captain. “How can there be harmony on the ship?” We don’t have to go far to find the answer. How precious are these words. Jesus, knowing the end is near, prays one final time for his followers. Striking, isn’t it, that he prayed not for their success, their safety, or their happiness. He prayed for their unity. He prayed that they would love each other. As he prayed for them, he also prayed for “those who will believe because of their teaching.” That means us! In his last prayer Jesus prayed that you and I be one." Phillips, Craig, and Dean's rendition of this song has been funneling through my head all weekend. I'm sharing it today because I hope it blesses you as much as it has me these past few days. 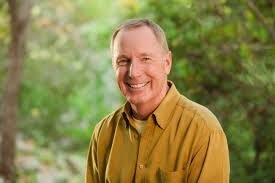 Most Christians in North America (or the world for that matter) know the name, Max Lucado. I think it safe to assume he has almost as much recognition as the great evangelist Billy Graham among Evangelical Christians. Pastor Lucado is a prolific writer, he has authored more books than there are books of the Bible, (74 by my count). including three recipients of the Charles Jordon Gold Medallion Christian Book of the Year, and has also appeared regularly on several bestseller lists including the New York Times Best Seller List. Lucado was named "America's Pastor" by Christianity Today magazine. He is a pastor at Oak Hills Church, where he preaches alongside Randy Frazee. In 2005 he was named by Reader's Digest as "The Best Preacher in America." He has also been featured on The Fox News Channel, NBC Nightly News, Larry King Live, LLBN, and USA Today. He has been featured speaker at the National Prayer Breakfast. His website describes him as a preacher with a storyteller’s gift—a pastor’s heart and a poet’s pen. He and his wife were missionaries to Brazil for a time and served in multiple ministries across the country. Max is a sought after speaker and a deeply loved pastor. Max was a huge influence on me growing up as I read a few of his books, and as my parents had listened to him on the radio. 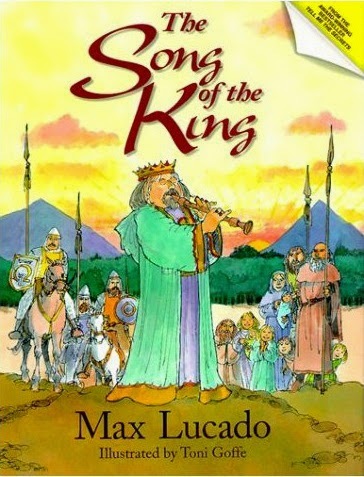 I think my favorite book by him was one of his children's books (yep it's still my favorite), a short story called, "The Song of the King". I won't give any spoilers, but it is an easy read (less than 10 minutes), and the principle that Max lays out is timeless. For a pastor who is knowledgeable enough to argue deeply with theologians and yet can simplify concepts so that a child can understand is not only immensely beneficial to the church, it is also an art. An art that for some time I feel has been lost. I'm very thankful for the life and ministry of Max Lucado, in my eyes, a modern day Church Father if there ever was one. He has defended the truth, evangelized the lost, and has been pivotal with his writing, speaking, and shepherding in the discipleship of many. We would do well to heed his words of advice concerning Spiritual Formation. These are just a handful of quotes from some of his works. "The meaning of life. The wasted years of life. The poor choices of life. God answers the mess of life with one word: 'grace.'" "About four days a week, I do pretty good at having a morning prayer time. But even at that, it's a rambling sort of thing. What I have learned to do better is to try to keep my mind turned toward God and ear inclined toward God throughout the day, and I think I'm doing better at that, but I've got a long way to go." ...The idea of a spiritual heart transplant is a vivid image to me; once you have the heart of somebody else inside you, then that heart is there. Jesus' heart is inside me, and my heart is gone. So if God were to place a stethoscope against my chest, he would hear the heart of Jesus Christ beating." "God meets daily needs daily. Not weekly or annually. He will give you what you need when it is needed." These quotes bring up questions for my own self evaluation. How is my heart? Is it living the transplant life that Christ has given me. Do I worry too much? Do I not trust in a good God who meets my daily needs daily? How is my concept and my practice of prayer? The easy answer is to say "Of course I should pray more, we all should!" But I think the real question that Lucado makes me think about is: How am I praying and am I fostering an attitude of attentiveness to God throughout my day? And of course, do I understand what grace really means for my past mistakes and failures? How about you? Do you wrestle with these questions? Should you be? If you have a few minutes today, below is a wonderful and humbling reminder of the very presence of God. Our God is omnipresent. Always here. In all places. And the video that is posted below is my very favorite sermon on the subject from one of my former professors, Michael DeFazio. I am going to continue posting on large aspects of our theology, doctrines that truly do matter. 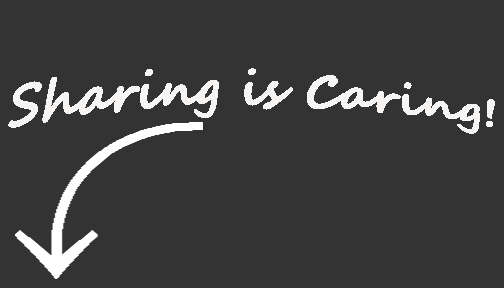 If you perhaps do not have a few minutes today, let me give you a quote to think on from this message. "REMEMBER! But effort alone is probably not enough. We must indeed remember. But in order to remember we must remind ourselves of this truth we believe. Do whatever it takes to regularly remind yourself of what you know is true! THIS is HOW you cultivate a convictional awareness of God's presence. What does this look like? Well, figure it out! To be honest I don't really care what you do... I just care THAT you do it. These "Formation Friday" posts will range from some general thoughts on current events helping us remember Jesus... to some of the sayings and writings of wise Christian leaders throughout the centuries. My hope is that as we stay simple and we peek into the things around us and the musings of those who have gone before us that we would enjoy and experience a jump-start into our own personal spiritual formation, hence the title: Formation Fridays. I hope you will join us, and thanks for reading! 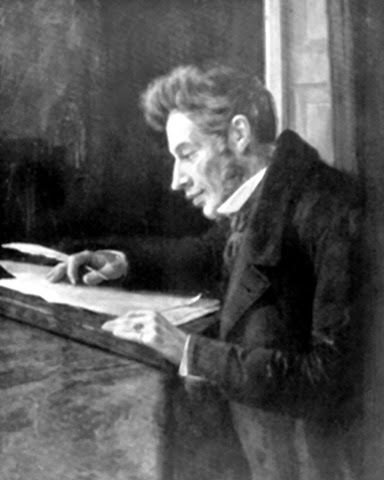 Søren Kierkegaard (pronounced "Keer-kuh-gard") is one of the most famous philosophers from the 19th-20th Centuries. He was born in Denmark where he lived all 42 years of his short life. Much of his work deals with the art of Christian love. He was extremely critical of the practice of Christianity as a state religion, primarily that of the Church of Denmark. He believed the church is at its best when it is autonomous of the state, a belief still strongly supported today. The thing is though, Mr. Kierkegaard is most notably known for his works on Christian ethics and the institution of the Church. He was an avid reader and writer. Kierkegaard wrote over 7,000 pages in his journals on events, musings, thoughts about his works and everyday remarks. He was is called the first "existential philosopher". He proposed that each individual—not society or religion—is solely responsible for giving meaning to life and living it passionately and sincerely ("authentically"). Existentialism became popular in the years following World War II, and strongly influenced many disciplines besides philosophy, including theology, drama, art, literature, and psychology. RELEVANT posted an article earlier this week, on the anniversary of Kierkegaard's death, to highlight some of his greatest sayings. You can find that article here. Whether you agree or disagree, the fact is this thought process and ideology has influenced a lot of our society... in fact it has permeated the western culture entirely. "The Bible is very easy to understand. But we Christians are a bunch of scheming swindlers. We pretend to be unable to understand it because we know very well that the minute we understand, we are obliged to act accordingly." "God creates out of nothing. Wonderful you say. Yes, to be sure, but he does what is still more wonderful: He makes saints out of sinners." "The function of prayer is not to influence God, but rather to change the nature of the one who prays." I have always struggled with memorizing. Not because I have the inability, but because I never devoted the time. If you’re like me, you feel pressure from everything within life to give our time and attention to. The idea of spiritual formation or the practice of memorizing Scripture, praying, meditating, etc seems too unrealistic. If you know your name, address, social security or telephone number, or better yet the names and stats of your favorite sports athletes… then you can no longer say, "I just can't memorize." 1.) 10 minutes per verse to memorize it the first time. Memorize it well and correctly. Use more time if needed. 2.) 5 minute review right before bed, for three evenings (this allows your sub-conscience to work on it while you sleep). 3.) 5 minute review the first thing in the morning, for three days. First, you'll want to pick a good translation. There’s no sense in memorizing from a translation you don’t understand. This doesn’t benefit anyone or anything. Reading and studying a translation that you cannot decipher doesn’t make you more “spiritual”, it makes you an ignoramus. The New Testament writers didn’t write in ancient Hebrew, they didn’t write in classical Greek (so only the elite would be able to read it), they wrote in the common tongue. They wrote so that the governing official could read it just as well as the merchant, the fisherman, the scribe, the farmer, etc. Bible translators today do the same thing, as language changes over time, so does our need to redefine certain phrases and words from the original ancient languages. Second, read the text and its context aloud until you clearly understand its meaning. It is much easier to memorize words that make sense to you. Always memorize aloud because you incorporate multiple senses into your work. Always work smarter, not harder! By using both your eyes and ears, your brain is using multiple sections to work together to drive this message into your mind for good. Read the first phrase of the verse. Then close your Bible and repeat it (aloud) over and over (about 10 times). Do it right the first time! It takes much less time to memorize it right the first time than to re-memorize it later. Then read the next phrase, close your Bible, and do the same thing. Then put the two of them together, repeating them both over and over until it becomes comfortable. Add a third phrase, etc. until you have completed the whole verse. Close your eyes and try to picture the scene: Who said this? To whom? When? What was going on? How did he or she feel? etc. Another way to add to this is to role-play the passage. Now before you just write this off, stay with me… Pretend that you are the author, writing or speaking this for the very first time. You wouldn't be saying it in monotone or non enthusiastically. These writers were excited to be saying what they were saying... well except maybe Jeremiah. Nonetheless, they all wrote with a lot of emotion. Moses wrote forcefully. Isaiah rote with great expectation. Jeremiah wrote on tear stained scrolls. Paul wrote with immense passion and gratitude, and sometimes with a lot of anger (yep I'm calling you out Galatians)! John wrote with such an encouragement and instruction. 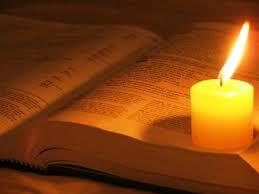 And the Holy Spirit who is the true author of it all, has a very clear purpose and desire for each word. So... remember the author as you memorize. Act it out using lots of gestures, facial expressions, and vocal inflections. How do you think actors and actresses get so good at their lines? They BECOME the character. If we practiced doing that, we would get really good at talking like we imagine Paul spoke, thinking the way Peter thought, etc. We need to allow the authors come alive through the words they penned down thousands of years ago. There are many other methods to use or to add to this. I’m curious, what methods do you use to memorize Scripture? is a pastor at River Run Church in East Orlando, FL. As a student at Ozark Christian College in Joplin, Missouri he majored in Biblical Leadership and New Testament Studies, with a minor in Missiology. In 2014 he attended the Leadership Institute in Phoenix, AZ where he continued his education from other pastors and educators at one of the fastest growing churches in the United States. He loves the outdoors, whether it is camping in the mountains or jumping through the waves at the beach, nothing is better than enjoying God’s creation. Nathan longs for unity and commitment to Jesus to be a defining element in the global church of his generation. We as a team have been struggling lately to stay constant with our posting. Not to make excuses, however all of us have been undergoing some life transitions. We are restructuring our board, our writing schedules, and figuring out what the future of our ministry will look like here. So, to be fair to you, our wonderful readers, we are going to work very hard this month to begin writing more consistently as we have in the past. To ease some of this though, and to give you more content throughout the week, I am going to start posting short blurbs and/or quotes on Fridays. These will range from some general thoughts on current events helping us remember Jesus... to some of the sayings and writings of wise Christian leaders throughout the centuries. My hope is that as we stay simple and we peek into the things around us and the musings of those who have gone before us that we would enjoy and experience a jumpstart into our own personal spiritual formation, hence the title: Formation Fridays. 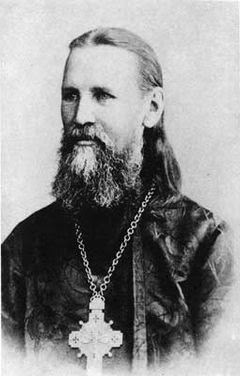 Today I hope these quotes about prayer from the beloved Eastern Orthodox leader, St. John of Kronstadt will give you something to think about throughout your day, and perhaps aid you in slowing down and giving thought, time, and heart to your time of prayer. "When praying, believe firmly, that the Lord is present in every word of the prayer, and that He is the fulfillment with the abundance of His gifts, warming and enlightening each one’s souls according to the measure of each one’s faith." "If you pray to the Lord from your whole heart, then you speak to the very heart of the Lord. For we are in the one heart of God. 'Dwelleth in Me and I in Him' (John 6:56)." 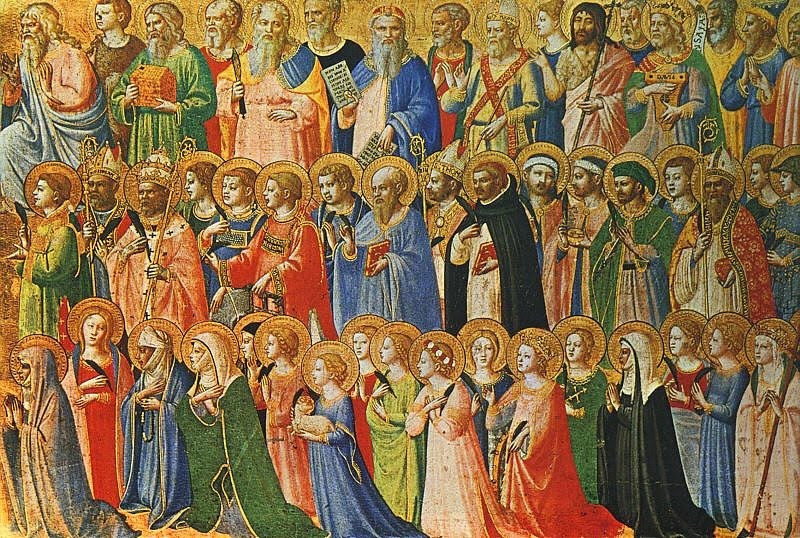 Today is All Saint's Day - a feast day that has been celebrated for hundreds of years within the church, particularly within the Roman Catholic, Orthodox, Anglican, and Lutheran churches, but in many others as well. But in our tradition - and in many of the traditions arising out of the Protestant Reformation - often not much is said about the Saints and All Saints Day. In fact, we make it a point in most cases to never speak of them or this day. That neglect of the Saints in our tradition is a pity in a way because it can make the whole idea of “sainthood” and of “the communion of the saints”, inaccessible to us, far beyond us, mystical to us, or just downright weird to us-especially when you couple that neglect with the popular idea of what a saint is -namely someone who is only a little less than perfect, someone who has been a spiritual overachiever as it were. This is not the case. The word 'Saint' comes from the Latin word 'sanctus' which means 'set apart', it is where we get the word 'sanctification' from. In Greek it is the word ἅγιος (hahg-ee-oss) which is the word for holy. A saint is a holy one. A set apart person. In other words, any Christian is technically a saint. Whether you think of yourself as a good Christian or not, by the blood of Christ you are considered a saint. The words 'Saint' and 'Christian' are synonymous. So why has the church set apart or canonized specific men and women throughout history as "Saints" if it is just another word for Christ followers? It is a designation of honor. A way of venerating (not worshiping) people who have been so sold out that we should consider them role models for our own spiritual walk. They are not any more special, any more saved, any more holier... But there is a sense in that they knew Christ, they experienced His Spirit, and they were so enamored by His presence more than most people of their day. 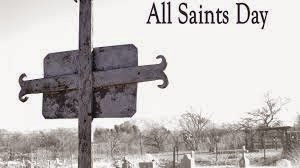 It is true that those that the universal church has declared - after much examination and debate, to be “saints” are in fact saints. But - when we get down to it - these wonderful people are simply bright examples of something that is very common - namely bright examples of a deep and abiding faith in Christ Jesus, a faith that has issued forth in action. They took to heart their identities as salt and light... and they preserved and flavored everything they touched. Their love for people, for the church, for truth and grace, cut through the darkest of dark. They are men and women upon whom the fickle finger of public attention has descended, and while normally deserving of the attention they have and are receiving, so are many, many, more people. Men and women, both dead - and yet still alive. And so, today is a day to celebrate the church. Both ancient and contemporary, liturgically and more freely. It is a day in which we recognize and remember all the people who have impacted our lives and our own faith journeys. It is a day in which while worshiping our God and our savior we THANK Him for the great people who have helped shape us into who we are today. Thomas, Justin, Billy, Tim, Michael, Ben, and Jacob, my friends and brothers. Marcy, Amy, and Jenna my true sisters in the faith. I remember and thank all of you gracious and loving people from River Run Church, my professors at Ozark Christian College, my grandparents, parents, and my new friends at Christ’s Church of the Valley. But in not even a little less of significance or importance I remember and thank those who have passed before me. St. Paul and St. John, St. Polycarp, St. Augustine, and St. John of the Cross who have all impacted me by their writing and their lives though currently we are separated by the fragile veil of time. So this day, take a minute or so and think of those who are present with us who has helped you with your faith in troubled times, or those who may have led you to Christ. Think of those who may have gone on to be with Christ and think of those who are yet to come. 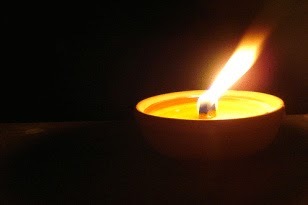 Light a candle, visit their grave, give them a phone call or a text. Pray. Be blessed. For today is one of the many days the Church celebrates its own Thanksgiving.